I remember back to when I walked the Bridge 2 Brisbane back in 2013. After it was done, we had gone to a Turkish restaurant and I saw this beer called “961 Beer Lebanese Pale Ale”. I remember it having a very interesting flavour, with the addition of thyme, sage, chamomile and various other herbs. I’ve only ever had the one, but it stands out distinctly in my mind. 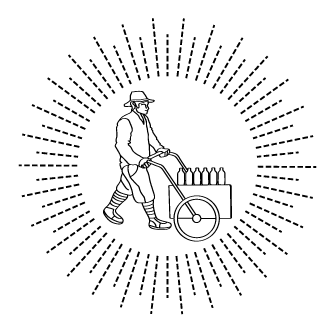 Looking forward to seeing what these gents have to offer with their new “Hawker Beer” brand! Hawkers were instrumental in the development of our early Australian colony and hawking is exactly what Joseph Abboud (Rumi, Moor’s Head) and Mazen Hajjar (961 Beer) found themselves doing on a warm but drizzly Sydney afternoon, pounding the streets between venues promoting and selling Hajjar’s 961 beer that Abboud had recently begun importing into Australia. Abboud found it rather amusing that they had taken up hawking just as so many early Lebanese and other migrants had done early in Australian history. This story resonated with Hajjar and would later become the name of their new brewery in Reservoir, north of Melbourne’s CBD. “Beer has changed my life” says Abboud who 3 years ago considered himself a non beer drinker. “I really had no idea that beer could taste so good and could have a place on the dining table as wine does. I look forward to seeing beer become a big part of Melbourne’s dining scene” he says. “It’s very exciting to be part of such a vibrant and energetic beer scene here in Australia” says Hajjar, who has moved to Australia with his young family. Hajjar founded Lebanon’s first craft brewery during the 2006 war in Lebanon. He built 961 Beer into a brewery exporting to more than 20 countries and designed its Lager, which was named Best Lager at the 2012 Hong Kong International Beer Awards. Hawkers, the brewery driven by Hajjar, will be one of the largest and most hi-tech start up breweries in the Southern Hemisphere. The new brewery will release its first beers this month. They are an American-inspired pale ale, a traditional Czech pilsner, an IPA (India pale ale) and a Saison (French/Belgian farmhouse ale).